A week ago today Dan and Kendra went kayaking in the Bahamas, where is was in the low 80's. We were on a cruise, without the children, to spend some time recreating, enjoying each other, and doing some planning for the coming year. Our last port was Great Stirrup Cay, Norwegian Cruise Line's private island. 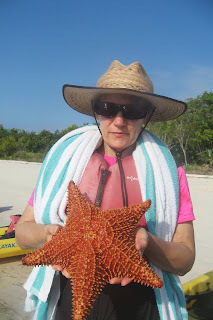 We were on an eco-tour, which means we got to see some sea creatures. 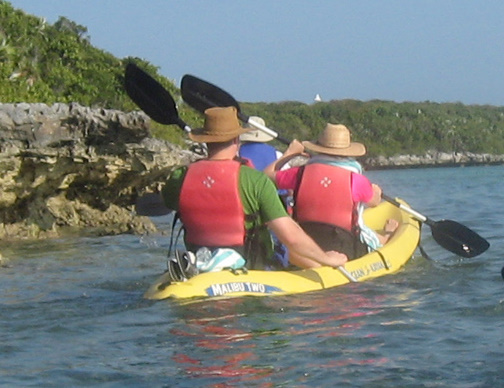 The first was an iguana on the rocks we paddled next to. 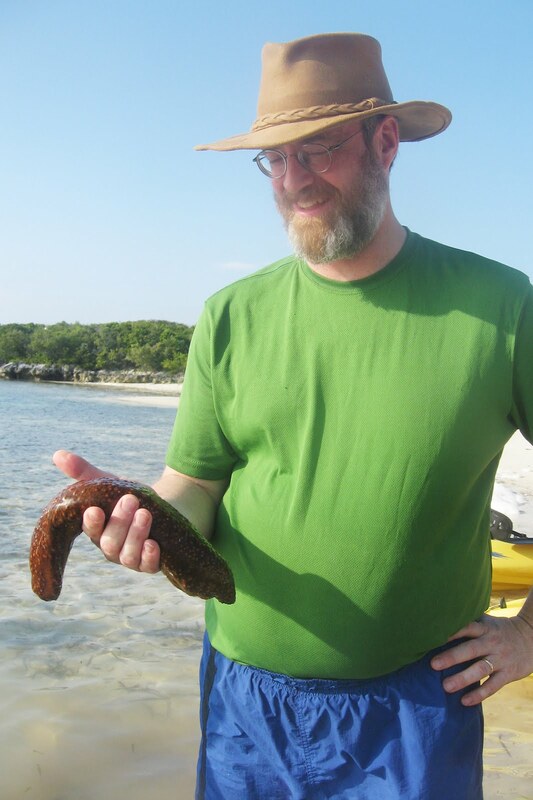 One of our guides found this starfish, which they said was the largest they had ever found in this bay. 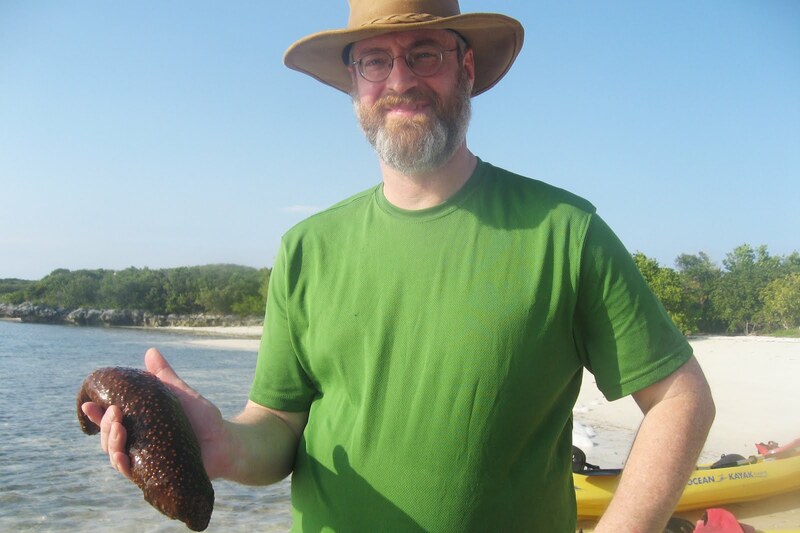 The next creature we got to experience is a sea cucumber, which Kendra passed on. Dan said it would alternate between feeling like a rotten cucumber and a wet stick. We walked on some beautiful beaches, ate well, and our favorite part was ordering room service for tea to drink on our private balcony while we sailed away each evening. The Lord truly blessed us with wonderful weather, and even more wonderful companionship.